I’ll start off by saying that I liked this game. I liked it more than any other Hitman game. Which isn’t hard, as that count currently sits at zero. I never found the Hitman series’ gameplay intuitive. It never looked good. Agent 47 was blocky, and slow, and boring. Only thing he had going for him was the barcode on his head. Reminded me of Dark Angel…remember that show? Absolution really revitalized the series for me. It looked a lot better, and played a lot better. The game also catered to my meticulous nature of trying to complete every objective or challenge on the same play through. 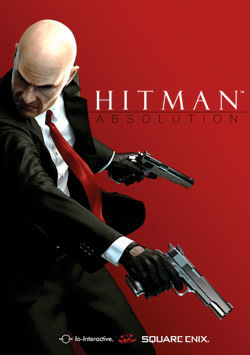 The game is broken up into levels, and each level has a series of challenges you can complete, if you so choose, including: different ways to take out the main target, locating evidence, finding every weapon, disguising yourself with different costumes, being a perfect assassin, etc. I like to complete all these before I move onto the next level. So this bloats the play time, which I don’t mind, as the game was decently long already; 20 missions long. Visually, the game was a step up on its predecessors, but then again, it should be, as the previous iteration came out 6 years ago. And the gameplay stepped it up a notch too. It just plays faster. Combat and stealth have evolved to what should be the norm, and you can setup slow motion shoot outs, allowing you to tag multiple enemies, á la Splinter Cell:Conviction. The story is bloated and repetitive, as the missions are just a lineup of guys to take out, with a couple unique escape missions scattered through to break it up. But the game is all about HOW you take those guys out, and most of the time there’s multiple per level, and the levels get longer and tougher as the game progresses. The gameplay keeps you coming back as you can be as creative as the game allows you to be or you can be bullet happy. Agent 47 had the audacity to cut his barcode off and stick a band-aid on it (not fooling anyone), but he’s back, and fresh. This entry was posted in Reviews and tagged Absolution, Games, Hitman, iRogan, review, Video Games. Bookmark the permalink.